With the Spicy Curry you’ve got a low-rider cargo rack so kids can load up more easily than ever, and your center of gravity is rock-solid. With up to 75Nm of torque and a 600 pound load capacity, go ahead and race up that last hill home, even if you’re tired from a long day and piled high with kids and groceries. Compatible with a wide range of Yuba accessories to make this bike every bit as practical as your old four-wheeled rig, but with fun to spare for the whole crew. 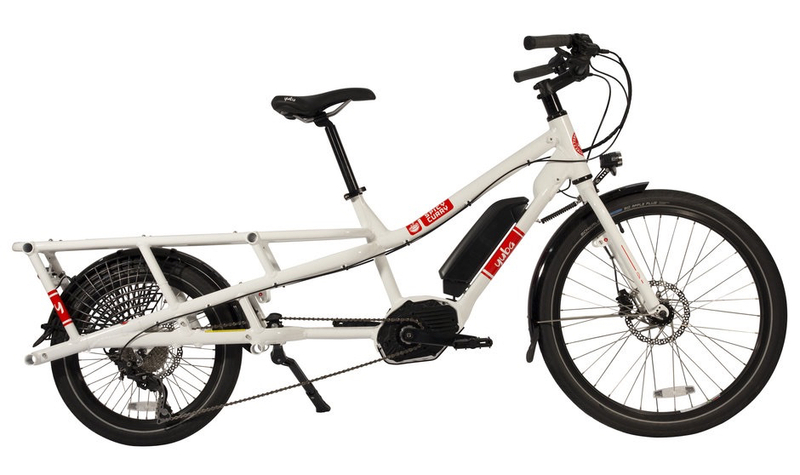 Inspired by time-tested utility bikes such as the Japanese Mamachari and the British Royal Mail Bike, the CERO One is the ultimate compact electric cargo bike, purpose-built to move people, families, and goods. With its customizable modular cargo system, one-size-fits-most versatility, and top-notch components, it’s a bike that truly delivers. This electric cargo bike has both brains and brawn. The intelligent and powerful pedal assist system masterfully offers just the right amount of assist for a natural feel under your feet. You’ll actually enjoy running all those pesky errands and seeking out those hills you used to avoid. Go ahead and load it up. The Electric Boda Boda is designed to haul anything life throws at you while keeping that light, nimble steering for a super smooth ride, every time. Eight and a half feet of cargo hauling happiness - this cargo bike can haul it all, no sweat required. Equipped with a powerful and efficient Bosch motor and engineered to be the smoothest steering front loader ever, the Electric Supermarche is destined to deliver. With features like infinite gear ratios, easy to mount step-through frame and adjustable cockpit, hauling 300 pounds of cargo - or kids + cargo - has never felt so natural. The M.01 is the original modular system "smartbike" from Walleräng. As beautiful as it is practical, where the M.01 truly shines is in its sophisticated handling both with and without a load. This bike solves transportation challenges with style. The M.01 has a lightweight rigid fork, while the M.01X delivers 80mm of comfortable suspension with its Rockshox Recon Silver air fork.